Pediatrician Dr. Paul Roumeliotis, aka “Dr.Paul, The Internet Doctor”, is a leading international expert on children’s health and wellness. Originally from Montreal and now based in Ottawa, he was a pioneering adopter of the Internet in 1995 (www.drpaul.com) and embraced it as an ideal way to communicate with parents. Over a long career (which started as a musician) he has created and produced hundreds of articles, videos, booklets, TV and radio programs on a wide range of topics. But his latest effort, Baby Comes Home: A Parent’s Guide to a Healthy and Well First Eighteen Months, marks his first formal foray into book publishing. It focuses on the “science of TLC”. In short, tender, loving and caring relationships with babies help shape their brains positively. He also presents important practical information on safety in the home and outdoors, baby routines and patterns, immunizations, injury prevention, nutrition, and growth and development. The second half of the book covers common baby care issues and concerns as well as illnesses and conditions frequently seen during the first few years of life. Dr. Paul recently answered a series of questions from editor Janice Biehn about the latest in children’s health. ParentsCanada: What do you think is the biggest challenge facing parents today, in terms of their kids’ health? Dr. Paul: Parents today are very busy, having to work, take care of their kids and in many situations care for their own parents. We now live in a hectic, information overloaded, mobile and on-demand society and it is difficult to find family time together (and for ourselves too). Of course for newborns, parents will try their best to attend to their infant’s needs but in many cases there are competing pressures like work, older siblings and finances. So from birth, I do believe that parents need to take as much time as they can to be with their babies. Also because things happen so quickly when baby comes home, I believe that it is important to be as prepared as possible to know what to expect. Finally, starting from when baby can sit in the high chair at the dinner table, make it a routine to have dinner together as often as you can, preferably every day. There are many physical and mental health benefits from this easy and pleasant activity! PC: Does TLC (tender, loving care) actually improve physical health, or just emotional health as children age. If so, how? Dr. Paul: We know that TLC – affection and paying attention to baby – have very positive effects on a growing baby’s emotional/mental health. However, science now clearly shows that TLC is important for the brain to develop fully and normally. The brain grows at a tremendous rate during the first two years of life. Most of this growth is wiring and connection formation (sculpting) that contribute to such things as language skills, social/peer interactions, self-regulation and our stress hormone control system. So in cases where babies are neglected, abused or inadequately stimulated, aside from emotional/mental health consequences, we now recognize that there can be physical consequences, and these may only appear decades later. So what happens early on (adverse or negative effects) during the vital first two years may only manifest as a physical disease much later in life. 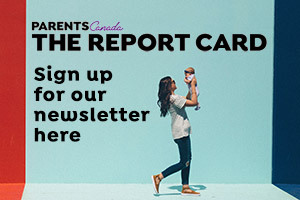 PC: What sorts of behaviours or health risks do you see in children who have not had that early, close connection and TLC? Dr. Paul: Babies who do not bond or have early and ongoing TLC, may have long term consequences because the neglect (or abuse) interferes with the normal brain sculpting. In other words, because of the surrounding negative social environment (toxic stress) the brain will not grow nor develop normally. In the short term, these children will not be ready for school or have learning/behavioural difficulties; in the long term, as adults, they have higher rates of chronic disease (like heart disease) as compared to children who grew up in a “TLC” environment. PC: In your book, you lay out a clear case for vaccinations. Are you seeing a lot of resistance from parents not wanting to vaccinate their infants? If so, what can be done to increase vaccination rates? Dr. Paul: This is a very important issue as we are in the midst of multiple Measles outbreaks in North America, largely due to unvaccinated children. We are hearing a lot about vaccine resistance in the media, yet only one to two percent of parents refuse vaccines and about 10 to 15 percent are hesitant. There is a lot of misinformation on the Internet, and this a challenge. I would recommend that parents discuss vaccination with their health care provider and to look at credible sources for information before making any decision. Personally, when I was training as a pediatrician in the 1980s,I lived through the era when a very severe bacteria (Hemophilus Influenza B) was causing illness and even death in many young children. Since the vaccine was released in 1985, this infection has almost completely disappeared. Immunization is by far, one of the most important medical advances, yet many in North America take vaccines for granted because infections that used to kill or maim millions have been virtually eradicated –thanks to vaccines. I also believe that if parents refuse vaccination, they not only put their own children at risk, but also can potentially expose others in the community, like young babies and people with weak immune systems. My approach is: when baby comes home, we do the best for optimal wellness. This wellness package includes, home/car safety, proper nutrition, TLC and in the same preventive spirit, I include vaccination as another thing we can do to protect baby and ensure optimal safety, health and wellness. PC: You talk a lot about injury prevention. Is the world less safe than it used to be for babies? Dr. Paul: I think the world is now safer for our children, as we have science, experience and data that inform us of risks and advances in preventive measures. For example, we now have car seats, we do not use baby walkers, we use bike helmets, we understand safe sleep habits/positions etc. Yet, still the number one preventable cause of injury or death in children is accidental injury including drowning, road accidents, falls and accidental poisoning. Regardless of how much we baby-proof our homes we need to be attentive to our young children and never leave them alone, in or outside of the home. PC: You state that breastfeeding is best, but lay out clear guidelines for formula feeding as well (thank you). Have you heard of parents making their own formula, and what do you think of that? Dr. Paul: Yes, breastfeeding is best for baby! For those who cannot breastfeed or can no longer breast feed, whole cow’s milk is not suitable before at least 9 months of age. Cow’s milk is too high in protein, not high enough in iron and does not contain all of the vitamins a growing baby needs. Thus, cow’s milk is not recommended before 9-12 months of age. This is where formulas come in. Infant formulas contain protein that is more digestible than in whole cow’s milk and have the necessary/adequate vitamins and iron to support a growing baby’s nutritional needs. As far as homemade formula is concerned, I do not support this. First, some “recipes” use whole cow’s milk and add calories like sugar etc. As I described above, whole cow’s milk is not appropriate for young babies and adding vitamins does not guarantee that baby will get all the nutrients he or she needs, or maybe the baby will get too much. Other “recipes” suggest using raw-unpasteurized cow’s milk and adding a slew of vitamins and other products. Again, I really discourage this approach; not only because of the above reasoning, but raw unpasteurized milk can contain dangerous bacteria like tuberculosis, Listeria and E. coli. Parents should never give unpasteurized milk to their babies, nor to anyone else in the family. PC: You are credited with embracing technology and the Internet in its early stages, 20 years ago, and coined the phrase “knowledge is comfort”. Do you see any problems or challenges for parents now with information overload? Dr. Paul: Yes...when it comes to child health and wellness, knowledge is comfort. The more one knows about baby, routines, care and potential issues, the more comfortable one will be to enjoy baby! Despite the information overload of today, I still think that the Internet provides a valuable and unprecedented service to parents, in that they can easily access information and consult/share/discuss with others in similar situations virtually anytime and from anywhere! The only precaution I can advise is that parents should be aware of the sources of their information and NOT rely on the Internet to make a diagnosis or treatment plan for themselves or their family. PC: Is there any advice you give to parents now that you didn’t give 20 or 30 years ago? Dr. Paul: We have new safe sleep and sleep position approaches now and there are new vaccines. Of course now we need to ask and counsel about screen time, healthy active living habits, obesity prevention as well as bullying and cyber bullying and Internet safety. We are also seeing more behavioural/social/mental health complaints and need to deal with the fall out on kids of the growing number of divorced and re-constituted families etc. PC: Do parents tend to place too much emphasis on developmental milestones, comparing their baby to other babies? Dr. Paul: Yes they do. Parents should not compare one child to another, rather they should follow their own baby’s development which is unique. As long as it follows the general recommended age expectations then that is fine! For example, baby’s first walk can range from 9 months to 18 months. So any time in between is normal. Anecdotally, I can’t believe the several parents have insisted that they toilet train baby at six months of age when we know babies are not ready before two years of age...there is no rush! The same goes for growth patterns of as each baby grows at his or her own pace and it is the rate and pattern of growth that we need to monitor. Each baby is unique and will grow and develop at his own pace, so do not compare your child to others. Dr. Paul will be on stage at the Babytime Show in Toronto on Saturday, April 25 at 4 pm for ParentsCanada talking about children’s health. Do any of these run in your family? Ask Dr. Marla: What are the milestones for a premature baby in the first few weeks?